What's more American than some good apple pie? In fact, quite a few things! Apples aren't really native to America. The first apples appeared in the country after European settlers and explorers brought seeds or small trees with them when they emigrated from Europe. Queen Elizabeth's favorite dessert was apple pie, and fruit pies were popular in England as early as the fourteenth century. So that all-American apple isn't so all-American after all. Granny Smiths may be the "go-to" apple for pies, but the sweet yet slightly tart taste of Galas takes this pie to a different level. Prepare a double crust, lining the bottom of a 9-inch pie pan with half, and reserving the rest to cover the top. Refridgerate until the filling is ready. Pour the apples into a large bowl, sprinkle them with the lemon juice, and toss slightly. Stir the sugar, flour, cinnamon and salt together in a separate bowl. Pour the dry mix into the bowl with the apples, stir them together, and let the mix rest for 10 minutes. Pour the mixture into the prepared bottom crust, tapping the pan lightly on the counter to level out the filling a bit. Cut the butter into small chunks and dot the top of the filling, making sure to distribute them well. Roll out the dough for the top crust approximately 3 inches larger than your pie dish. Brush the outer edge of the bottom crust with cold water and cover the pie with the top crust. Press all the way around the rim to seal the edge, and then trim off the excess. Flute the edge and make 3 to 4 slices in the top crust to allow steam to escape. Stir the additional sugar and cinnamon together and sprinkle it over the top of the crust. Place the pie on a baking sheet and bake for 30 minutes. Reduce the heat to 350° F and bake for an addition 40 minutes, or until the filling is just tender and the juice thickens and begins to bubble out of the vents. Remove the pie from the oven and allow it to cool completely before serving. Walnuts and golden raisins add surprisingly complementary flavors to a traditional apple pie. Prepare your double crust first, and line a 9-inch pie dish with half the dough. Reserve the other half of the dough for the top crust and refrigerate everything until you're ready to fill the pie. In a large bowl, stir the apples and lemon juice together. In a separate bowl, mix together the sugar, flour, cinnamon, nutmeg and salt. Combine the dry mix with the apples and stir to coat. Allow the mix to set for 10 minutes, and then pour it into the pie shell. Roll out the top crust large enough to cover the bottom crust and filling. Brush the rim of the bottom crust with cold water, and cover it with the top crust. Press the edges together to seal them, and then trim off the excess and crimp. Slice a few steam vents in the top. Place on the middle rack in the oven and bake for approximately 55 to 60 minutes, or until the crust is golden brown and the juice thickens and begins to bubble through the vents. Follow these tips to create not just a good apple pie, but a great one. The real secret to a perfect apple pie is in the crust. It's not hard to make a flaky pie crust, but it certainly is an acquired skill. Keeping the crust flaky depends on using ice cold water, shortening (or butter), and cutting in the shortening carefully with a pastry blender or two knives. Don't roll it too much. Too much rolling and handling can make your crust tough and dry instead of flaky and rich. It sounds difficult, but if you follow these rules, you'll soon be turning out pastry fit for the pros. The best kinds of apples for pies really depends on your own taste. 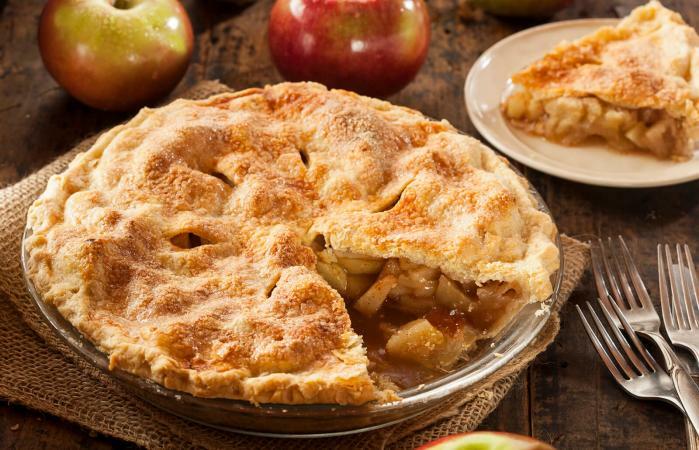 Some people like a pie with apples that still offer a crunchy bite to them, while others prefer a pie with softer fruit. Picking the type of apple all depends on what you like your filling to taste like. 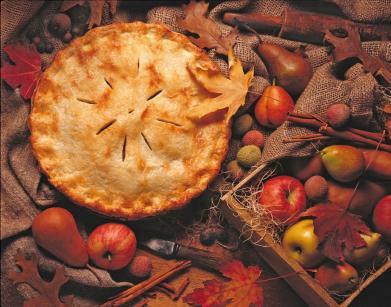 The following list contains the most popular apples and how they work in a pie. 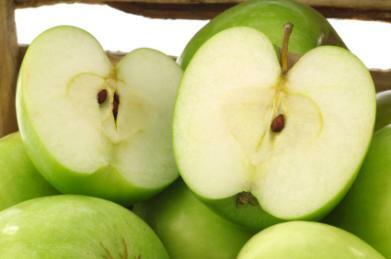 Granny Smith: One of the most well known baking apples, some bakers swear by the Granny Smith, but others don't. They are tart, but hold up well to baking. Cortland: An excellent, juicy apple that is now appearing in many more grocery stores, the Cortland is excellent for baking and holds up well under heat. Gala: This variety is readily available in most grocery stores. It originated in New Zealand and has a mildly tart taste. It doesn't hold up quite as well as a Granny Smith when baking, but it still makes a great pie, as long as the apples aren't overly ripe when you use them. Golden Delicious: This is a controversial apple. Some say it's excellent for baking, while others say it doesn't hold up to the heat and can turn mushy. It's a great apple for eating and it's especially sweet with a mild skin. Jona Gold: This apple is a cross between a Jonathan and a Golden Delicious. It's juicy, crisp, and richly apple-flavored. It's especially good for pies and sauces. Jonathan: Not as tart as the Granny Smith, this is a good eating and baking apple. Northern Spy: You may not be familiar with this apple, but if you can find it, you'll discover it's juicy, crisp, fragrant, and excellent for baking. Red Delicious: The Red Delicious is an excellent eating apple and it's great for cider. It's not a good baker, though, since it gets far too mushy. Golden Delicious and Red Delicious really are related only by name. Rome Beauty: This apple tastes mealy when you bite it, but it does do well in almost any type of cooking. Some may not like the texture for pies. A truly great apple pie doesn't fall apart when you slice it. Ideally, slice your apples about 1/4-inch to keep your pieces intact when you remove them from the pie and set them on plates. 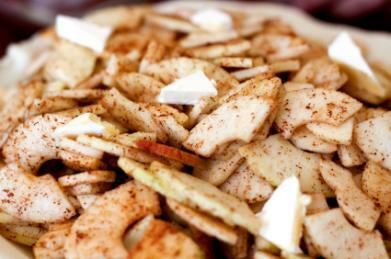 You'll get a prettier slice instead of winding up with a plate full of apple chunks swimming in a pool of gooey juice. Once you're proficient at baking a classic apple pie, branch out a bit. Try making a crumb topping instead of a regular crust, or create a lattice top crust for a fancier look. You can even experiment with spices; try cardamon in place of nutmeg for a different spin. Even if one of your experiments doesn't turn out quite the way you hoped, nothing ventured equals nothing gained. You never know where the next great recipe will come from, so be creative!